I didn't even know these existed, but there really are perfect travel-sized steamers that will tuck away in a small suitcase! Not all hotels have a steamer for guest access, and not all outfits can handle an iron... hence why I love the steamer. Pretty sure I have no idea why I haven't always had one, but now I do, and it comes with me everywhere. 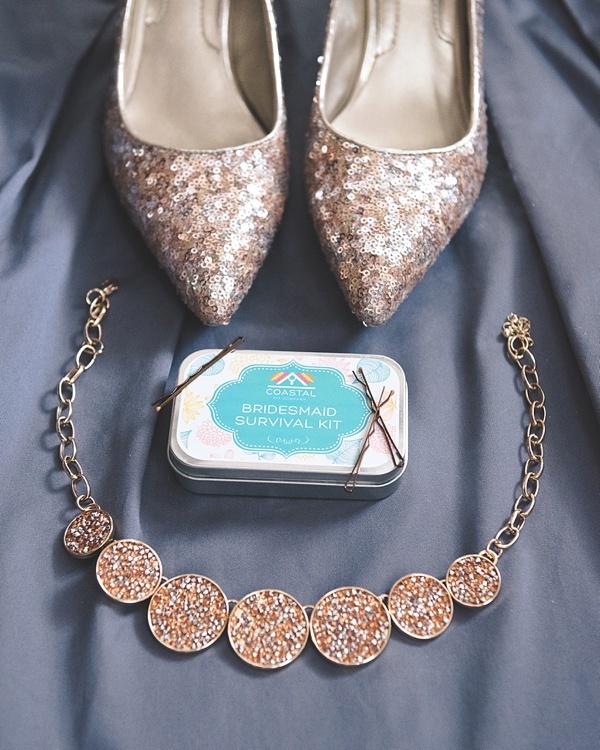 Our friend Jervais over at Coastal Kit Company makes the cutest survival kits for all sorts of purposes, but one of my favorites is her Bridesmaid Survival Kit! From hair elastics to blister cushions to flat earring backs, this little goodness in a tin has you covered from getting ready to dancing all night long. It's so tiny and perfect to stash in your carry-on bags! Depending on the type of wedding you're going to, be sure research, ask the couple, and to pack appropriately. If it's a beach wedding, then consider bringing both casual and casual elegance outfits if you aren't sure if it's a super casual ceremony or a more traditional ceremony. When you go international, be aware of cultural/local customs, especially if going overseas. Some resorts also have certain restaurant dress codes. Just do your homework, and it'll be smooth sailing! 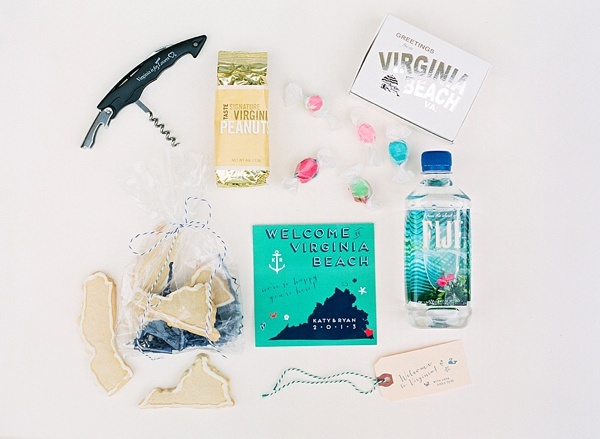 Going to a sandy shores kind of wedding and stumped on where to start? Sukey of Dress for the Wedding created a really great "What to Wear to a Beach Wedding" guide for us! These should be at the top of your list if you're going anywhere tropical, swampy, surrounded by water... or anywhere where there might have the possibility of mosquitos and an outdoor ceremony or reception! It never fails. Anytime I'm near water, it's like moth to a flame when it comes to those 'squitos, and my legs end up looking like a star constellation chart. Insect repellent is particularly a necessity nowadays, especially now with mosquito-borne diseases in high alert. And for those sun rays? Some ceremonies can be 5 minutes or 35 minutes, so protect your skin with your preferred sunscreen no matter how long those vows are! What else do you recommend to bring when you go out of town to a wedding?